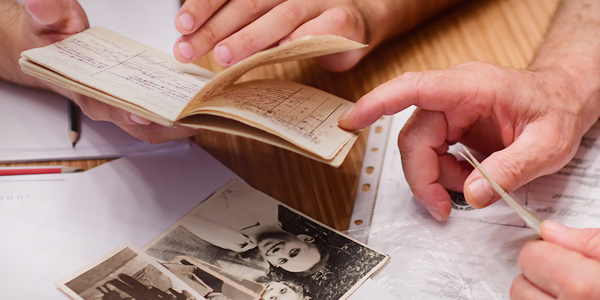 When Nazi Germany attacked the Soviet Union in June 1941, there were close to one million Jews in the Belorussian territories, including some 65,000 refugees who had escaped from Poland. Only several tens of thousands survived the Holocaust. Nazi Germany wanted to create the impression that the initiative for the liquidation of the Jews came from the local populations. Some Byelorussian political leaders supported the elimination of Jews, and yet massive collaboration was not characteristic to Byelorussians as a group. Most of the population were indifferent to the fate of their Jewish neighbors. The German reports to Berlin reflect the locals’ various responses. During the first months of occupation these reports noted a lack of participation of locals in the anti-Jewish measures. In this respect they differed from the Baltic countries and the Ukrainians. Another report stated that the population approved of the ghettos, forced labor and the repressive measures against the Jews, but they did not take any initiatives in this respect. Hiding and helping Jews was highly dangerous. The orders, like in other parts of Eastern Europe, were not only to kill anyone found sheltering a Jew, but to murder his family. In addition, those who betrayed Jews were paid.